Audio Editing Like a BOSS! Register for Audio Editing Like a BOSS! Don't Miss Out On Upcoming Seminars! Working effectively with Strong Personalities in the High Stress Wedding Industry. Mothers of the Bride who are treating their daughter’s wedding like the debutante ball she never had, Venue Managers with a God Complex, Wedding Planners who are either MIA or Control Freaks, Photographers and Videographers who seem to think the reception is an intrusion on their shoot and finally, Wedding Entertainers who believe the world revolves around them. Every specialty in the wedding industry has its extreme factions and Liz Daley will share established tools that can be utilized to make every wedding go more smoothly, regardless of the personalities involved. Former WED Guild® President and Accredited Bridal Consultant™, Liz Daley, who holds a degree in Directing for the Stage, will share her insights on how to create a great script for your next wedding. The wedding agenda or timeline is actually a script, and a script is much more comprehensive than just “times” and “what’s happening”. Liz will share with you how to organize, plan and direct amazing weddings by utilizing established rules of the theatre including set design, staging, rehearsing, scripting, pacing and performance. She will also share how to effectively collaborate with other wedding professionals and manage your event while keeping everyone on the same page. Elisabeth Scott Daley lives in Williamsburg, VA with her husband, Steve, and their three furry children…Dani, Tux, and Kaboodle. She holds of Bachelor of Fine Arts in Musical Theatre from the Boston Conservatory of Music. She was a working Actress/Entertainer in New York and abroad for over 10 years. She has been entertaining as a DJ/MC since 2003 and she helped develop the WED Guild® Application Process as a member of the Advisory Board of Directors in 2007. She’s the first female entertainer to earn the prestigious title of Wedding Entertainment Director®. She also holds the advanced designation of Accredited Bridal Consultant from the Association of Bridal Consultant. 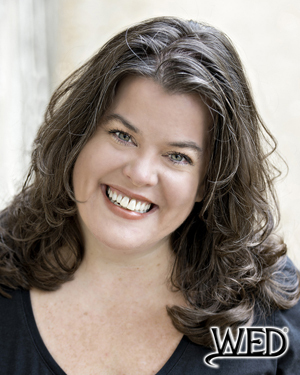 She served as the President of the WED Guild® from 2010 to 2014 and was responsible for getting the title of Wedding Entertainment Director® officially trademarked by the USPTO. She is a co-facilitator with Peter Merry in the Make It GRAND! Workshops and has already trained over 100 DJs from across the United States and around the world. 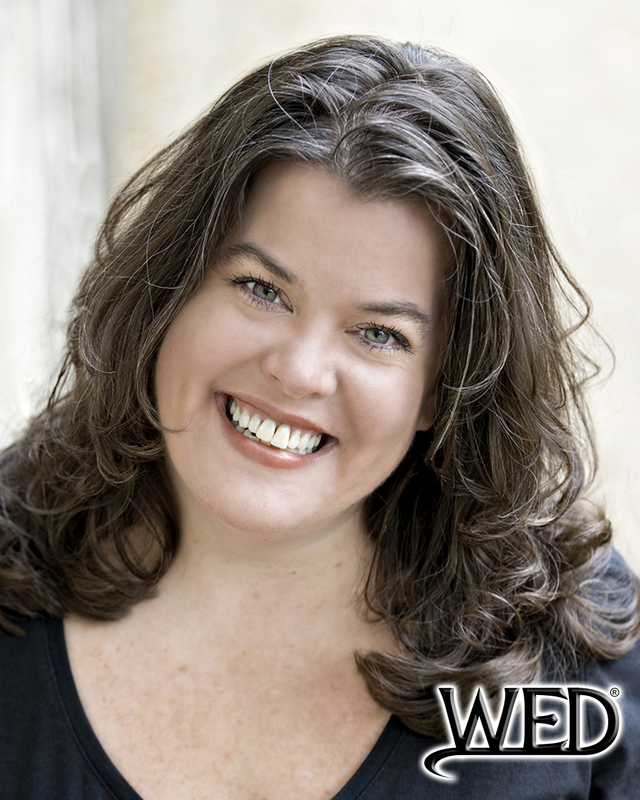 Liz Daley is a graduate of The Boston Conservatory of Music, Former President of the WED GUILD®, Wedding Entertainment Director®, and International Wedding Industry Speaker. In his seminar, “Better Consultations Bring Better Bookings”, Peter Merry (Author of “The Best Wedding Reception…Ever!” and Founder of the WED Guild®) will share how developing a purposeful method for his sales consultations resulted in increased booking ratios at ever-increasing price levels. As wedding professionals, we all put in countless hours to prepare for our clients’ weddings and receptions. Yet how many of us will show up to an initial sales call or meeting completely unprepared? In this presentation, you will learn why the first 15 minutes of a sales meeting may be the most important. You will learn how to help your clients uncover their real needs while demonstrating that you offer the best solutions to the challenges they face. And you will learn how to show the real value of your services. You will not learn how to coerce anyone into choosing your services…but instead…you will find out how to develop a relationship with your clients that can lead to years of referrals. This seminar is designed to help all wedding professionals increase their booking percentages and boost their confidence in effectively communicating why their services are the best. In this seminar, Peter Merry (Author of “The Best Wedding Reception…Ever!” and Founder of the WED Guild®) will share insights that will help you uncover the real professional entertainers in your market and he will also show you how to avoid the less-than-reputable services that have given the Mobile DJ profession a black eye. In his seminar, “The Starbucks Effect…Servicing Today’s Personalized Bride”, Peter Merry (Author of “The Best Wedding Reception…Ever!” and Founder of the WED Guild®) will explore 5 aspects of the Starbucks® approach towards customer service that have contributed greatly to their explosive growth and overnight demand for a product/service that had not previously existed. Peter will explore these 5 aspects in light of our roles as wedding professionals while giving effective examples of how we can begin implementing them into our own services. When implemented properly, these 5 aspects will bring increased demand from the kind of brides we would prefer to work with the most. You’ll learn why Starbucks chooses to “Think Venti!” instead of the just thinking big. You’ll learn how to turn unexpected challenges into opportunities to shine. And you’ll be reminded why we should always feel lucky to work in the wedding marketplace. Every day we say things without really thinking about why we say them. These statements can include: false assumptions, negative self-talk, inflated self-perceptions, catastrophizing, over-generalizations…among others. Peter Merry (Author of “The Best Wedding Reception…Ever!” and Founder of the WED Guild®) will share examples from his own experience (while also citing sources from within our own industry) about how these kinds of declarative verbalizations are truly stunting our chances at achieving success. You’ll learn: Why the word “never” should never be used when speaking about your goals. How “assuming the worst” may be the worst assumption you can make. Steps for replacing these “motivation killers” with empowering assertions which are proven to help you build a pathway towards fulfilling your dreams. Peter Merry is the author of “The Best Wedding Reception…Ever!” (and is also the Founder of the WED Guild®) which has sold over 10,000 copies. His book features over 230 creative ideas for making weddings more FUN. Using stories, photos, and video clips, Peter will share a sneak preview of the latest ideas for creating memorable moments at your receptions. You will learn why personalizing the FUN at your receptions will increase your demand and your earning potential. You will be given some simple methods for developing new ideas into workable interactions. And finally, Peter will reveal his predictions for the future trends and expectations for wedding entertainers. Some wedding professionals have aspirations of making a name for themselves by servicing the ultra high end weddings that are often attended by celebrities, politicians, and billionaires. Peter Merry (Author of “The Best Wedding Reception…Ever!” and Founder of the WED Guild®) will share some insights provided by vendors who have made such dreams into their reality while sharing some simple and effective methods for finding your own dream “platinum wedding” clients. You will learn how to define the target market you want to service and how to attract the right kind of clients…instead of just the most clients. And Peter will share how he has been able to find most of his “platinum weddings” among regular everyday folks who are neither rich nor famous. Learn how to develop outrageous demand for your unique services while creating raving fans who all agree that you truly deliver “platinum weddings” for your couples. Whether it be Facebook, YouTube, Twitter, or Reality TV…today’s world is creating too many “celebrities” for even TMZ to follow. Yesterday’s bride dreamed of being a princess on her wedding day. But more and more of today’s brides are looking forward to enjoying the same limelight as a Hollywood star at a red carpet premiere. Peter Merry (Author of “The Best Wedding Reception…Ever!” and Founder of the WED Guild®) will share some insights about the expected protocols for servicing a celebrity on their wedding day while giving some real-world examples every wedding professional can use to make their brides (and grooms) feel like the A-List Stars they truly are at their own wedding receptions. With the advent of the iPod and “Do-It-Yourself” Genius mixes on iTunes, some have begun to suggest that wedding DJs may be heading towards imminent extinction. Add in the events of 9/11 followed by a tough economy and the viability of choosing one’s career as a wedding DJ has been questioned now more than ever. Peter Merry (Author of “The Wedding Reception…Ever!” and Founder of the WED Guild®) will tackle these issues head-on while laying out clear cut strategies for not only surviving these current challenges, but effectively rising above them. He will discuss why now more than ever your ability to entertain at a wedding will truly set you apart by mixing structure with creativity to achieve outrageous demand. And he will prognosticate about the trends and changes that may soon come knocking on the front door of your wedding business. Will you be ready? Being highly recommended by a fellow wedding professional can play a large role in boosting demand for your services. While wedding locations are often on the top of the “food chain” of professional services selected by brides, it is still very valuable to gain word of mouth recognition from other wedding professionals who may often be commonly ranked below your services. Some brides today will book their photographer before they choose their location. Knowing this makes it very important to be touted by a wide variety of wedding professionals who are eager to recommend your services. In this seminar, Peter Merry (Author of “The Best Wedding Reception…Ever!” and Founder of the WED Guild®) will share: Some simple yet effective techniques for earning the trust and confidence of your fellow wedding pro team members. Methods to avoid in pursuing a spot on these qualified referral lists. A few basic steps you can take to have other pros rave about your services so you’ll be seen as the top choice on their recommendation lists. The biggest challenge most wedding professionals face is communicating why their products and services are a better choice in an effective yet humble way. We all plan for our couple’s big day. 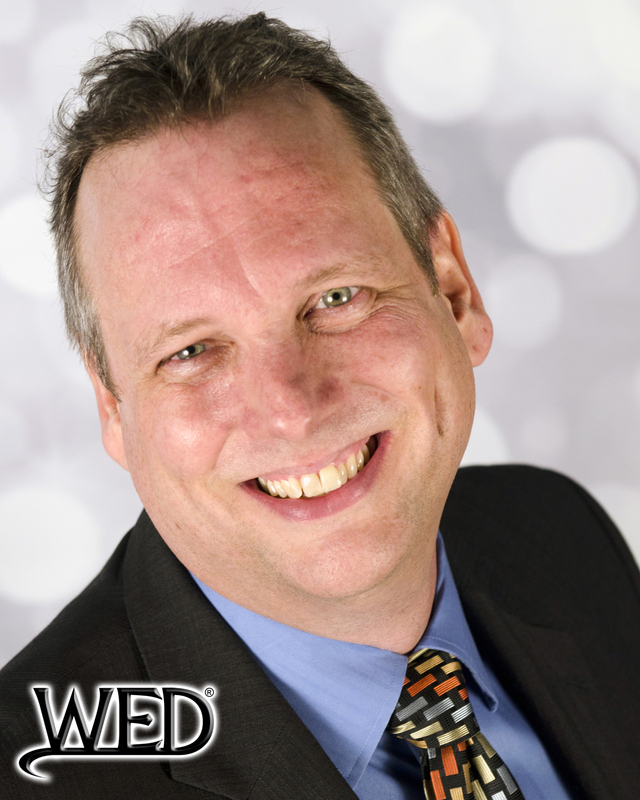 But Peter Merry (Author of “The Best Wedding Reception…Ever!” and Founder of the WED Guild®) will show you how to plan a sales presentation that will leave your prospects wondering why they should even bother meeting with another wedding professional. If you can show them why you are the best value, they will pay your price and rave about it! In this 10 minute “TED” style talk, Peter Merry (Author of “The Best Wedding Reception…Ever!” and Founder of the WED Guild®) will explore the difference between “announcements” and proper “introductions” and why it is in your best interests (as well as your clients best interests) to deliver a more personalized, formal introduction for the VIPs at your wedding receptions. Peter Merry (Author of “The Best Wedding Reception…Ever!” and Founder of the WED Guild®) will talk about the importance of “owning the room” before attempting to entertain any audience. He will explore a variety of methods for commanding focus without being either obnoxious or a show stealer. And finally, he will reveal why no MC should EVER have to ask for permission to do their job correctly. Valuable lessons can be gleaned from disasters. Peter Merry (Author of “The Best Wedding Reception…Ever!” and Founder of the WED Guild®) will explore some notable examples of wedding catastrophes by examining what went wrong (via video clips and real-life stories) and what professional wedding professionals can do to prevent such calamities from occurring on their watch. One of the most overlooked keys to a successful wedding celebration is creating an agenda that will be smooth-flowing and consistently entertaining. A well decorated reception with a poorly written time-line can result in guests becoming bored, restless, and possibly even leaving earlier than the bride and groom had desired. Forcing a bride and groom to conform to a “standard” (or regional) order of events can leave them feeling frustrated and can short–change their vision for a creating a unique and memorable experience. So how do we help them create something personalized while also ensuring their reception won’t be filled with lulls and awkward pauses? In this session, Peter Merry (Author of “The Best Wedding Reception…Ever!” and Founder of the WED Guild®) will share: Why the location’s layout may dictate the best order of events. How to build energy and involvement into the agenda. Simple “Plan B” approaches for overcoming unforeseen timeline killers. And suggestions for effectively incorporating the other vendor’s needs into the schedule. For over 14 years, Peter Merry (Author of “The Best Wedding Reception…Ever!” and Founder of the WED Guild®) has been developing and delivering the most creatively fun and uniquely personalized grand entrances in the wedding entertainment industry. In this seminar, he will explore how planning for the best staging, preparing some amazing sweetening options, and personalizing your content will help you put together wedding party intros that are truly fresh each and every time. If you are tired of just doing and saying the same things for your grand entrances, maybe it’s time to take your introductions Ten Layers Deep! IT WASN'T ME! | Stop The Blame Game. Start Owning Your Success! How to help your teammates and your clients look like rock stars! How to create a “prevent defense” game-plan for your success! How to share this plan with new clients to increase your sales! It’s time to turn excuses for failure into solutions for winning! Many marketing resources today are espousing the idea of building your own “celebrity” status as the best and most effective way to attract customers and build demand for your unique services. In this seminar, Peter Merry (Author of “The Best Wedding Reception…Ever!” and Founder of the WED Guild®) will turn that proposition on its head. He will explore the 5 biggest benefits of being a “celebrity” and draw examples from these that we can use to make our clients truly feel like the stars they are in simple ways leading up to and on their big day. This approach will reap clients who are not just satisfied, but are beyond thrilled to the point that they cannot stop raving about how you made them feel. And we all know nothing beats a celebrity endorsement! Why innovation must be an ongoing process instead of a destination. Why imitators are not your concern. How to develop your own “Dean Koontz Creative Idea Generator” to maintain your cutting edge. Effective use of post-reception feedback surveys and online reviews. How to collect and leverage audio and video testimonials. When, why, and how to raise your prices. 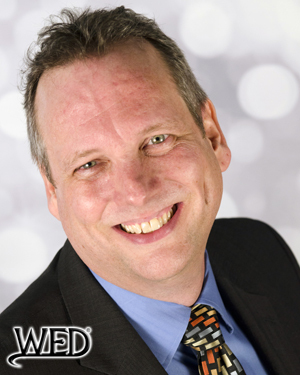 Peter Merry has been helping couples create fun and entertaining wedding receptions since 1992. He has presented seminars on wedding entertainment performance techniques, wedding marketing, and sales consultation skills to wedding professionals in over 60 cities across the United States along with Canada, Mexico, and the Bahamas. He serves his clients as their Wedding Entertainment Director® and he is currently entertaining at weddings across the United States. He’s the founder of the Wedding Entertainment Director’s Guild®. And he is the author of “The Best Wedding Reception…Ever!”…the first guidebook for brides and grooms on creating an unforgettably fun wedding celebration. He has trained over 200 wedding entertainers from around the world through his 2-day workshop called The Professional Process. Finally, he is passionate about helping all wedding professionals to provide better calibers of services to their brides and grooms. Peter Merry is the Author of “The Best Wedding Reception…Ever!”, Founder of the WED Guild®, and an International Wedding Industry Speaker. In this seminar, Peter Merry (Author of “The Best Wedding Reception…Ever!” and Founder of the WED Guild®) and Liz Daley (Contributor to “The Best Wedding Reception…Ever!” and Former President of the WED Guild®) will share usable guidelines and tools to help the professional coordinator assist their clients in choosing the best entertainment options for their reception. They will also explore a wide a variety of alternative forms of entertainment that are becoming more popular with today’s brides. They will share insider tips for helping your clients choose an eloquent and engaging Master of Ceremonies. And they will discuss some proven methods for working with your entertainment professionals to insure maximum results! The New Definition Of FUN! The latest trends developing among today’s brides and grooms are centering around unique and creative ways to bring more FUN to their reception celebrations. In this seminar, Peter Merry (Author of “The Best Wedding Reception…Ever!” and Founder of the WED Guild®) and Liz Daley (Contributor to “The Best Wedding Reception…Ever!” and Former President of the WED Guild®) will share some of the latest unique forms of alternative entertainment that are being utilized to add that extra WOW factor and create a more memorable experience for all involved. These ideas will create better photos and video footage while also creating more demand for the wedding professionals who are prepared to help produce them.